Welcome to the 6th Manawatu Walking Festival! The 6th annual Manawatu Walking Festival will be held from 6-8 March 2020 in Palmerston North and the wider Manawatu region, from the Ruahine and Tararua Ranges, to the sea. More details of the walks will be made around October 2019. The festival brings together locals and visitors from around New Zealand to experience the stunning and scenic walks in the region, while learning from local experts who run the guided walks. Hosting next year’s festival is a range of experts from experienced tramping guides, historians, conservationists, story-tellers and photographers. 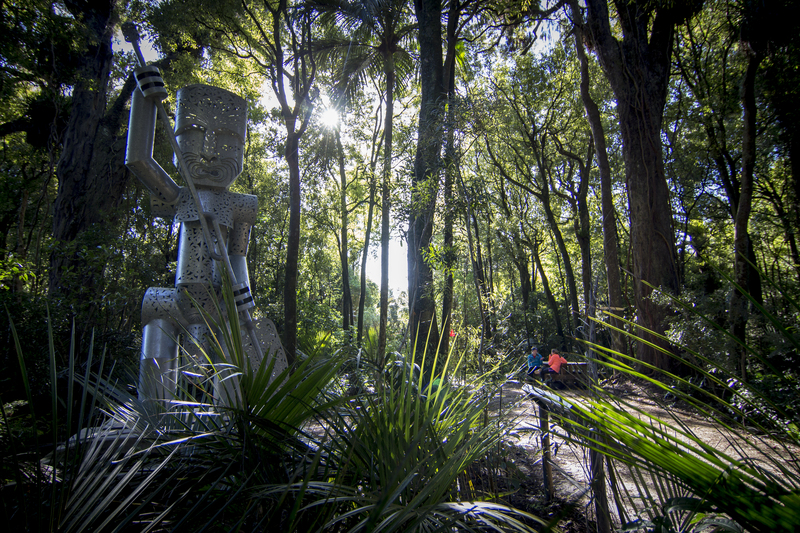 There are walks for all ages and fitness levels, with plenty of options to choose from including the iconic Te Apiti – Manawatu Gorge Track through native bush, a twilight beach walk that ends with a feast of fish n’ chips and an urban art and sculpture walk, if you’re after a dose of city culture. Bookings are essential. For tickets and information on walk durations, start times, transport and space available, please visit each walk’s page that will be available around mid October 2019. This festival is centered around the outdoors, but unfortunately, the weather isn’t always on our side. If any event is cancelled due to weather, the information will appear on this page.